In a recent conversation with Anne Cavanaugh Burke, the spouse of David Burke, retired marine scientist, and longtime resident of the 1913 Connor-Burke House, situated at 406 Ward Avenue, Anne related to me that I should visit with Phoebe P. Fussell, the delightful lady who lives at 305 Ward Avenue. Anne told me that Mrs. Fussell’s grandfather had built her home and that he hailed from New Orleans. Excited about discovering the origins of another Ocean Springs’ architectural treasure, I soon knocked on her door. Both Phoebe and Jeff M. Fussell, her Texas born spouse, were very hospitable and welcomed me into their well-preserved bungalow. 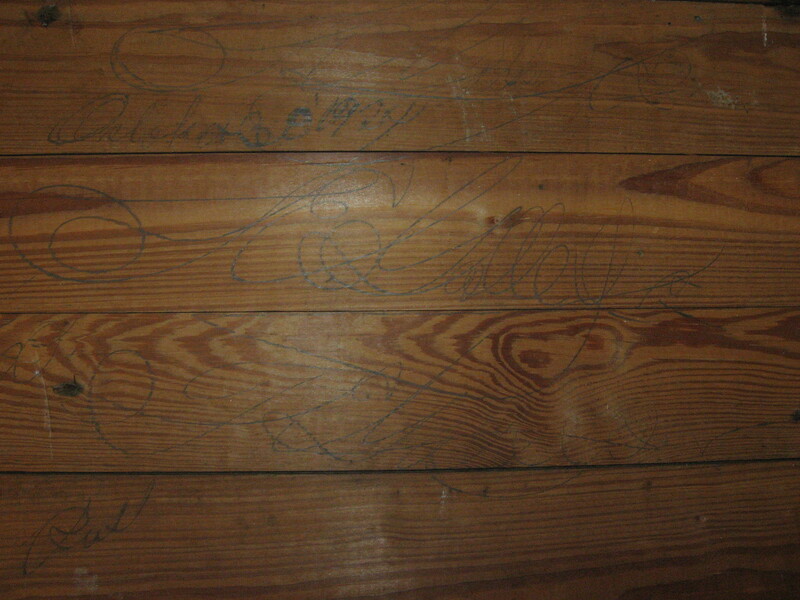 The interior of the Fussell house is in as near original condition of any that I have ever witnessed at Ocean Springs. The Standard toilet is dated January 10, 1923 and the kitchen and household appurtenances are also 1920s vintage. The Fussells have been working with William “Bill” R. Allen III, local architect, on a large addition to the rear of their home. It will include a bedroom, a bath, utility room, and two-car garage. Construction startup is anticipated in the first quarter of 2007. The Knotzsch tract in the Alto Park Addition consisted of Lot 14, Lot 13, Lot 12, and a part of Lot 11 and situated on the northeast corner of Ward Avenue and Kensington in Section 30, T7S-R8W. The Knotzsch-Fussell parcel has a frontage of two hundred feet on Ward Avenue and runs west for one hundred and sixty feet along Kensington for a total area of .735 acres. Like her grandparents and parents, Phoebe and Jeff M. Fussell and their children utilized the Knotzsch bungalow as a vacation home. Unfortunately, canal failures associated with the tidal surge and winds of Hurricane Katrina in late August 2005, resulted in the inundation and loss of their Harrison Avenue domicile in the Lake View area of the Crescent City. The Fussells took refuge at 305 Ward Avenue during Katrina and do not plan to return to New Orleans. Jeff M. Fussell retired from his New Orleans’ accounting and income tax prep business in 2005. Helen A. Thompson, The Magnolia Cemetery, 1974. The Jackson County Times, “Local and Personal”, April 27, 1923. The Jackson County Times, “Local and Personal”, May 14, 1923. Phoebe P. and Jeff M. Fussell-October-November 2006 at Ocean Springs, Mississippi. 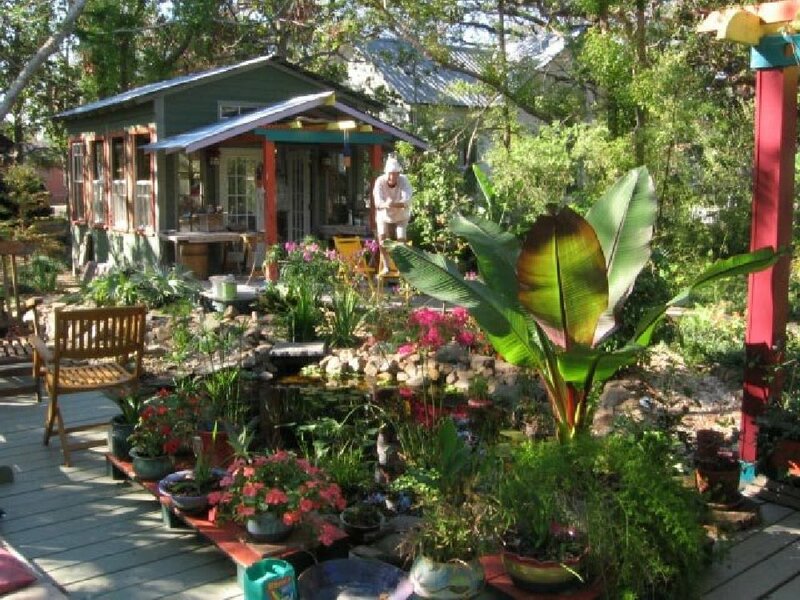 The Maxwell-Bellande Bungalow is situated at 525 Jackson Avenue in the Old Ocean Springs Historic District. It is located on the S/2 of Lot 8- Block 31 of the Culmseig Map (1854) of Ocean Springs, Mississippi in Section 37, T7S-R8W. Early land conveyances erroneously described the lot that this cottage was built on as the S/2 of Lot 7-Block 31. In February 1886, Sam Starks married Isabelle Latimer (1863-1936), the daughter of Edwin Latimer and Mary Krohn. Their children were: Margaret S. (J.Y.) Morgan (1886-1937+), Catherine S. (Peter E.) Quave Jr. (1888-1940), William Starks (1894-1894), Theresa Starks (1890-1968), Elisabeth Starks (1892-1896), Mary Camilia Starks (1895-1900+), James P. Starks (1898-1987), Cyril A. Starks (1900-1903), Edwin Starks (1902-1937+), Lillian Starks (1905-1937+), and Samuel Starks (1906-1993). Antoinette E. Johnson married Frank E. Schmidt circa 1900. He worked as an oysterman until January 1901, when he took a lease from the F.J. Lundy Company on the E.W. Illing Bakery property located at 78-80 Washington Avenue. She was the mother of Frank Oliver Schmidt (1902-1975), Charles Ernest Schmidt (1904-1988) and Harry Johnson Schmidt (1905-1997). Arguably, these Ocean Springs men were to medicine and engineering what the Anderson brothers are to the art world. Carrie Ann Johnson (1886-1968) married Joseph B. Garrard (1871-1915), and Alexander Fleet Everhart (1881-1957). Mrs. Garrard-Everhart was in the hardware business, grew citrus fruit, and dealt in real estate at Ocean Springs. 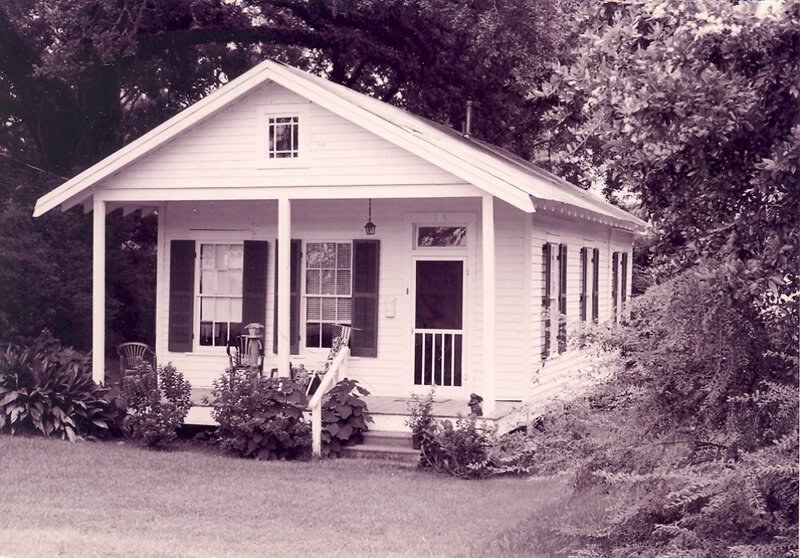 In February 1962, the Samuel P. Starks house was relocated from the northeast corner of Government Street and Bechtel Boulevard to 3515 Government Street and is now in the possession Steven L. Shepard, a renown artist of national acclaim. Antonio Catchot married Elizabeth Hoffen about 1854. She was born in Bremen, Germany and had come to the United States about 1853. Their children were: Elizabeth Catchot Camba Dunn (1854-1927), Joseph S. Catchot (1858-1919) called Joe Tony, Mary A. Catchot Bellande (1860-1931), and Antonio Catchot Jr., (1868-1952) who was familiarly known as Toy. After the Great War, Eddie Bellande barnstormed across America arriving in Los Angeles where he worked in the fledgling cinema industry as a pilot. He then pursued a career in commercial aviation as a test pilot, airmail pilot, and transcontinental passenger airline pilot. Bellande flew with Charles Lindberg while employed with Maddux-TWA. In 1925, Mrs. Mary C. Bellande relocated from Ocean Springs to live with Eddie in Los Angeles. She had sold her home on Jackson Avenue to Frederick C. Gay. Mrs. Bellande came home in May 1930 to visit with Mrs. A.J. Catchot. Mary Catchot Bellande (1860-1931) expired at Los Angeles, California on May 26, 1931. Her remains were returned for internment in the Evergreen Cemetery at Ocean Springs, Mississippi. Albert C. Gottsche (1873-1949) was born on September 23, 1873, at New Orleans, the son of Hans Heinrich Gottsche and Christiana Switzer. From the land roll books of the Jackson County Chancery Court, it appears that the Gottsche family settled or at least was landowners at Ocean Springs before 1875. As previously sited, Karl Case Maxwell (1893-1958) was the first to erect a structure on the S/2 of Lot 8-Block 31, which was completed in 1923. The Maxwell Cottage had an area of approximately 1500 square feet on the ground floor and an attic bedroom, which added an additional square feet. Judge H.P. Heidelberg of the Chancery Court of Jackson County, Mississippi confirmed the title on the Maxwell lot in December 1955. St. Paul’s Methodist Church has a long history in Ocean Springs. There has been a sanctuary on the southeast corner of Porter and Rayburn Avenue since 1900. In its nearly seventeen year ownership of the Maxwell Cottage, St. Paul’s has utilized the structure as a Sunday School and generously provided a meeting place for local Boy and Girl Scout activities. During this period, the Maxwell-Bellande bungalow was referred as "The Boy Scout Hut". In mid-October 2002, Ray L. Bellande (b. 1943) commenced an extensive refurbishment of the Maxwell Bungalow. Under the aegis of the Ocean Springs Historic Preservation Commission, he replaced the old roof with an architectural shingle roof; the decayed rear dormer was removed and rebuilt; R-19 insulation was blown into the walls; old paint and window glazing was removed, the cement porch was covered with faux planking; two of the four Doric columns were replaced with fiberglass surrogates; and a limestone drive was built to replace the dated concrete drive. In addition, two rooms situated on the rear of the structure were demolished and replace with a treated pine deck. The interior of the old Maxwell residence was completely gutted. Several layers of flooring and ceiling were removed to their original wooden construction. In all rooms except the front two rooms, the sheet rock was removed and original walls exposed and refinished. The upstairs room was converted to a bedroom with bath. The fireplace was restored and tiled with Mowati tile. Hunter and Casablanca ceiling fans were installed in all rooms. Ray L. Bellande moved from 822 Porter to 525 Jackson Avenue in November 2003. 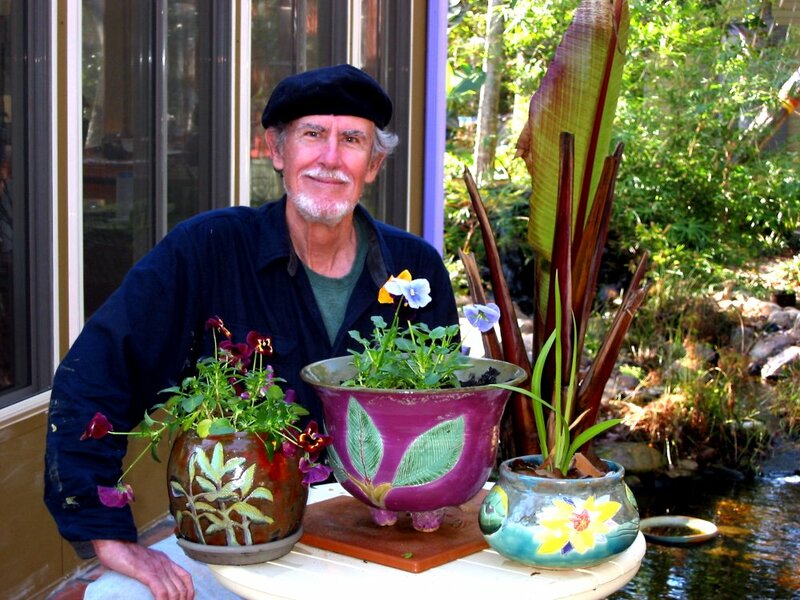 In the spring of 2005, Ray L. Bellande had a small Koi pond installed in the rear yard. It features a waterfall and stream leading to the Koi pond. An addition to the rear deck was also completed at this time. Graveled and wooden pathways were constructed to connect the water garden to other areas of the property. A sun room on the deck was built in April 2006 and a Mexican tile patio was laid at the entrance to the sun room in June 2006. 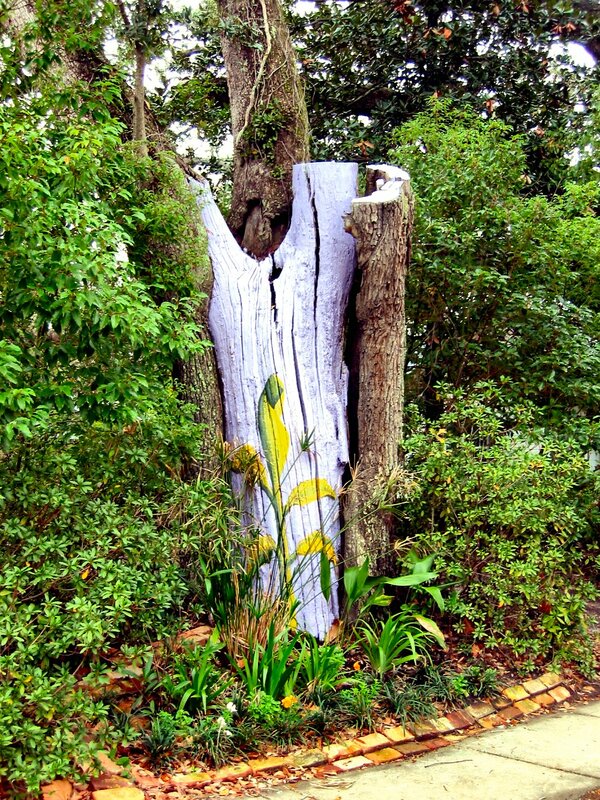 In the fall of 2006, Ray L. Bellande painted a trompe l'oeil 'banana tree' on a large Live Oak tree on the Porter Avenue perimeter of his property. 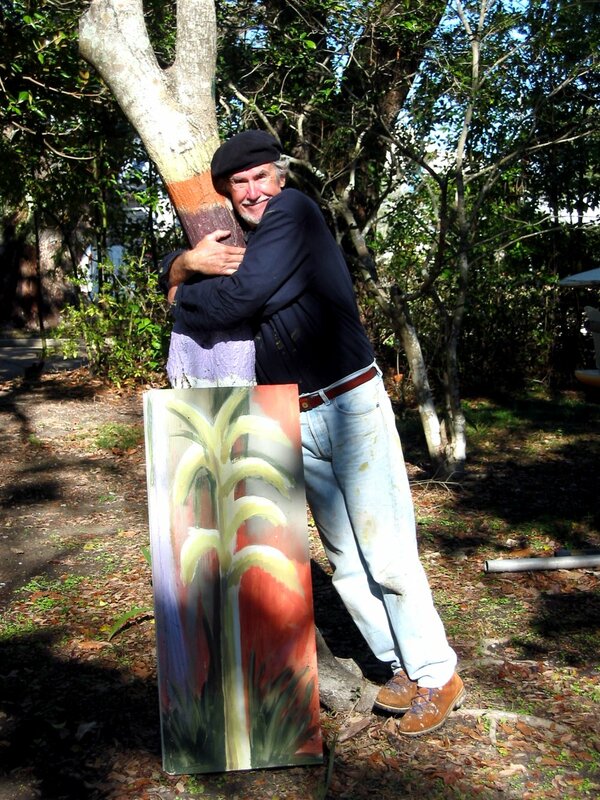 It led to attention from the local news media and resulted in an article about his garden art and pottery and 'tree' painting titled, "Bellande's art finds soul mate in nature" published in The Ocean Springs Record on January 11, 2007. 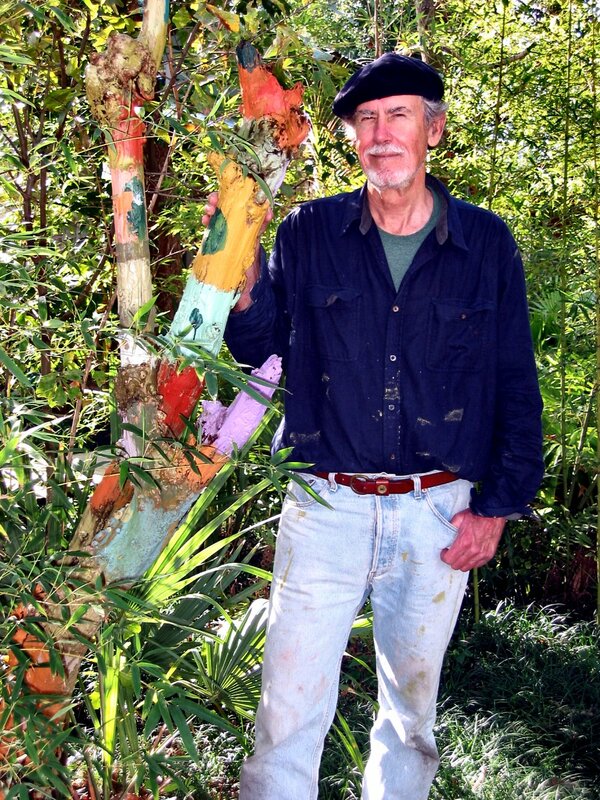 In late December 2006 and January 2007, Ray L. Bellande changed the exterior color of his home to 'edgy gold', a yellow-green color from the Sherwin Williams Duration acrylic latex palette. The windows and trim were also repainted. Ray L. Bellande, Ocean Springs Hotels and Tourist Homes, (Bellande: Ocean Springs, Mississippi-1994). The History of Jackson County, Mississippi, “Wylie Thomas Broome, Jr. and Joyce Harvey”, (Jackson County Genealogical Society: Pascagoula, Mississippi-1989). Jackson County, Mississippi Chancery Court Cause No. 902, “The Estate of Margaret Elwyert”, 1900. Jackson County, Mississippi Chancery Court Cause No. 13203, “Karl C. Maxwell and Myrtle M. Maxwell v. The Unknown Heirs of Widow LaFontaine”, October 1955. Jackson County, Mississippi Chancery Court Cause No. 22, 300, “The Estate of Myrtle M. Maxwell”, 1970. The Bay Press, “Kaleidoscope of Homes This Sunday”, December 3, 2003. The Biloxi Daily Herald, “Ocean Springs”, October 3, 1896. The Daily Herald, “Ocean Springs News Paragraphs”, October 9, 1952. The Daily Herald, “Ocean Springs News”, May 31, 1930. The Daily Herald, “Mrs. Bellande Buried”, May 28, 1931. The Daily Herald, “Injuries Fatal To Resident of Ocean Springs”, July 4, 1958. The Gulf Coast Times, “Gottsche’s-39 Years Faithful Service in O.S.”, November 4, 1949. The Gulf Coast Times, “Incorporate Local Grocery”, January 15, 1959. The Jackson County Times, September 15, 1917. The Jackson County Times, “Local and Personal”, May 19, 1923. The Jackson County Times, “Local and Personal”, December 11, 1924. The Jackson County Times, “Local Boy Scouts To Get Charter”, September 28, 1946. The Los Angeles Times, “Edward Bellande, 78 Dies; Test Pilot Became Aerospace Leader”, November 19, 1976. The Ocean Springs News, “Geo. W. Davis Retires From Business Oct. 1st”, September 10, 1910. The Ocean Springs News, “Local News”, September 10, 1910. The Ocean Springs News, “Civic Federation Notes”, May 20, 1911. The Ocean Springs News, “Karl Maxwell Dies In Auto Crash…”, July 3, 1958. The Ocean Springs News, “Military Personality”, May 28, 1964. 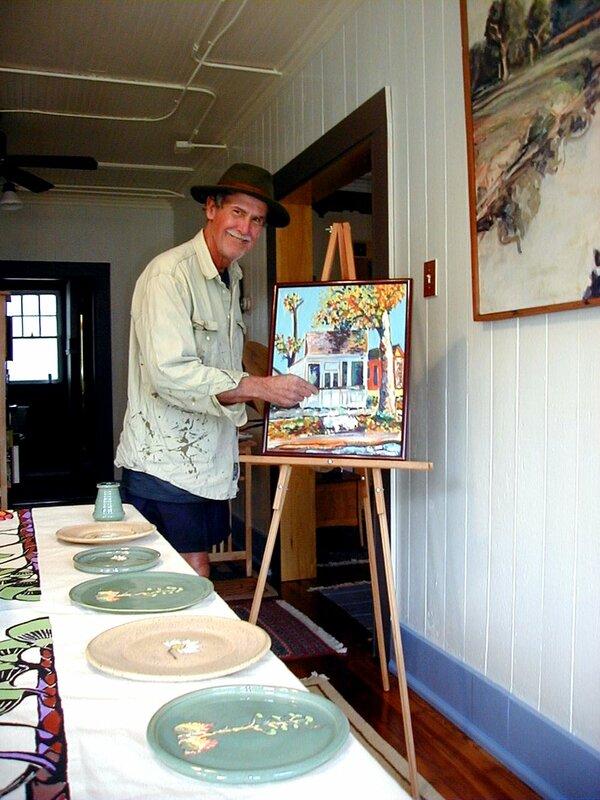 The Ocean Springs Record, "Bellande's art finds soul mate in nature", January 11, 2007, p. B5. The Pascagoula Democrat-Star, “Local News Paragraphs”, May 21, 1880. W.T. Broome II, December 7, 2002. John H. “Jack” Gottsche-December 17, 2002. Lynne King Maxwell-December 23, 2002. It is believed by the author that Severin Schill had erected a handsome Queen Anne Cottage at present day 914 Calhoun Avenue between late 1903 and the spring of 1907. Sophie Keebler Schill expired in East Baton Rouge Parish, Louisiana on August 25, 1943. As previously mentioned, in May 1907, at retirement age, Henry and his wife, Isabella B. Hellmers (1858-1908) moved to Ocean Springs and purchased for $1950, No. 7 Calhoun, now 914 Calhoun, from Severin and Sophie Schill. Here Mr. Hellmers toiled in his garden. (JXCO, Ms. Land Deed Bk. 32, pp. 549-550 and Margaret Seymour Norman, August 1994). 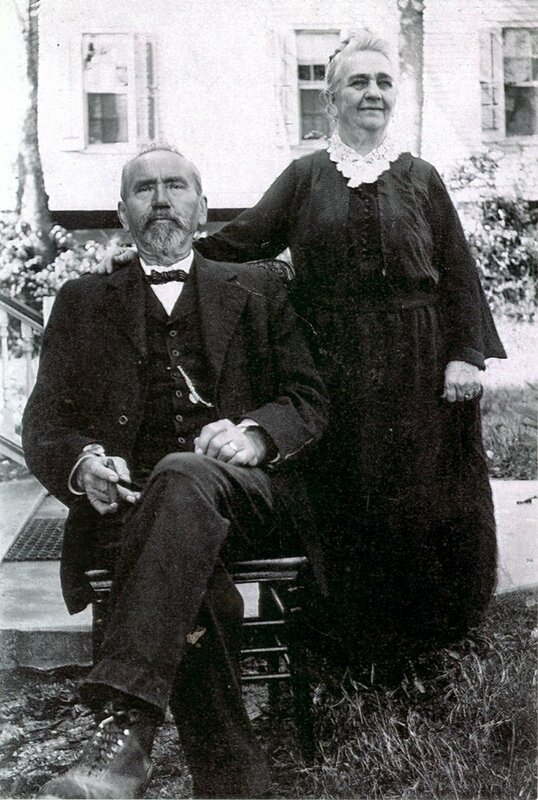 After Isabella Hellmers died in 1908, Henry Hellmers married a German woman, Hanna Geb Koegel Rycnaer (1864-1919), who had immigrated to America in 1898. She had been his housekeeper for many years. They married on October 10, 1909. Hanna had a daughter, Dora Rycnaer Schneider (b. 1903), from her first marriage. Dora attended school at St. Alphonsus across the street. Hanna R. Hellmers died on June 25, 1919. In 1924, Henry Hellmers contracted with Frank E. Galle (1877-1934) to build a vernacular cottage at present day 918 Calhoun Avenue, which is east of the Schill-Duckett place at present day 914 Calhoun. On the south wall of the front room of the Hellmers-Duckett Cottage Frank E. Galle and his son, Frank E. ‘Kiddo’ Galle Jr. (1900-1986), ‘autographed’ the house with the date October 30, 1924. 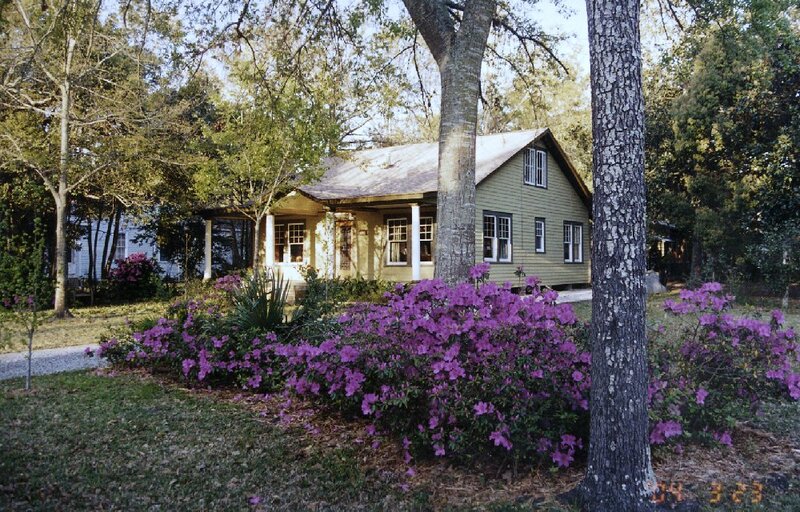 Frank E. Galle and family built many homes and other structures in Ocean Springs. Clarence E. Galle (1912-1986), another son, was also a building and demolition contractor here. His sons, C.L. ‘Larry’ Galle (b. 1940) and Carl W. ‘Boo’ Galle (b. 1946), have carried the Galle family tradition in the building trades into the 21st Century. The corporal remains of Henry Hellmers and his three wives rest eternally interred in the Hellmers’ family burial plot at the Evergreen Cemetery at Ocean Springs. This vintage image of Casa Flores, later called Del Castle, was made by Albert A. Heldt (1882-1926+), an Indiana born photographer, who made many images at Ocean Springs in the late 1920s for the Branigar Brothers of Chicago during the construction of their Gulf Hills resort and golf club. 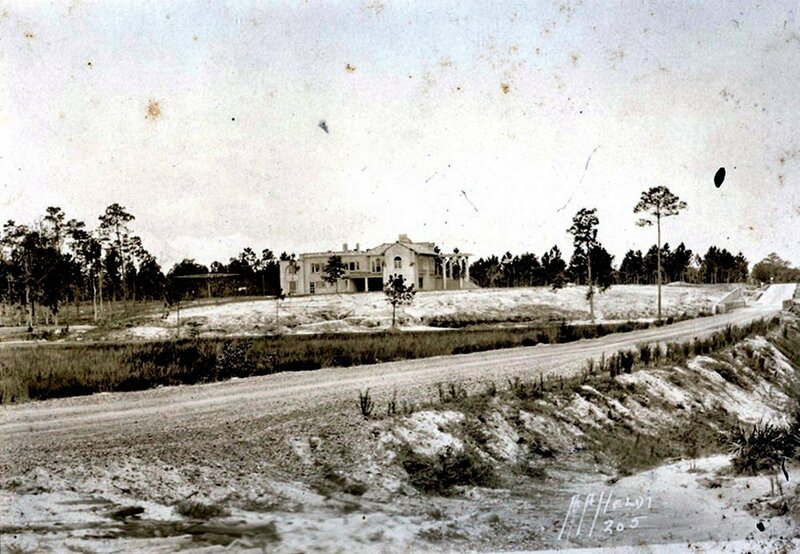 Mr. Heldt captured the Davis Bayou estate of Frederick E. Lee (1874-1932) and Georgette F. Lee (1889-1979) in its final stages of completion. Leon R. Jacobs (1885-1940+), a New York based attorney, who sold the land to F.E. 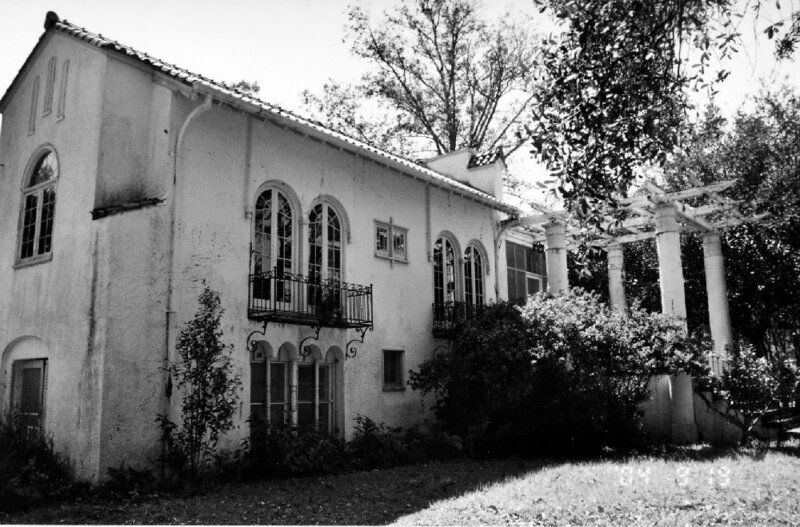 Lee to erect Casa Flores, owned 918 Calhoun from June 1926 until November 1939. Mr. Jacobs was an advisor to Leonard Kip Rhinelander (1904-1936), a New York blue-blood, who made national headlines in the fall of 1925 in his marriage annulment suit to a ‘woman of color’. The two men stayed at Ocean Springs in March 1926. Courtesy of H.R. ‘Randy’ Randazzo-Arlington, Virginia. The warranty deed from Leon R. Jacobs to R.J. Richtsteig described the Jacobs sales tract as being one hundred acres, more or less. The agreed sales price was $25,000. Mr. Richtsteig paid Leon R. Jacobs $12,000 cash and agreed to pay three notes of $4333 each to satisfy the mortgage. After R.J. Richtsteig had his land along Davis Bayou and Old Spanish Trail surveyed, it was discovered that he had acquired less than sixty acres, not the one hundred acres, more or less, purported in the warranty deed from Leon R. Jacobs. In 1926, Richard J. Richtsteig filed litigation, Cause No. 4948, against Leon R. Jacobs in the Chancery Court of Jackson County, Mississippi. In December 1927, it was adjudicated by the Chancery Court that the $25,000 purchase price for the Jacobs land was excessive and that it should be reduced by $10,000. This value was arrived at by the Court being the value of forty acres, the amount of land that the survey reduced the Jacobs tract, and valued at $250 per acres. This change in value indicated that R.J. Richtsteig was only indebted to Mr. Jacobs for $15,000. The Court determined that R.J. Richtsteig owned Leon R. Jacobs $3061 and had fifteen days to pay his debt or the property would be sold at a Commissioner’s Sale of the Jackson County, Mississippi Chancery Court. Leon R. Jacobs was to surrender to the Court for cancellation two of the $4333 notes given to him by R.J. Richtsteig. (JXCO, Ms. Chancery Court Cause No. 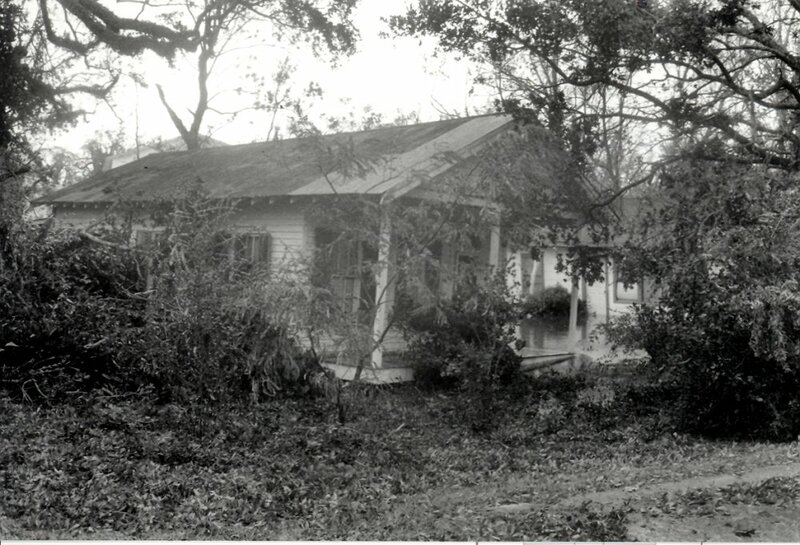 4948-1927 and JXCO, Ms. Land Deed Bk. 57, pp. 287-288). In his retirement, George W. Vance, like many Midwesterners, discovered the temperate, winter climate of the Mississippi Gulf Coast. During one of his sojourns here, he must have been a guest of the French Hotel, which was situated on the southeast corner of Front Beach Drive and Martin Avenue. The French Hotel had been founded in 1896, by two French immigrants from Corsica, Antoine Bertuccini (1844-1921) and Marie Gouax Bertuccini (1863-1930). Under the Bertuccinis' management, the French Hotel catered primarily to French speaking visitors from New Orleans and rice and sugar planters from South Louisiana. They came to Ocean Springs in the summer months to enjoy salt water bathing, cool breezes off the bay, and the medicinal waters which made the city famous. There was a 750-foot pier in front of the hotel. In 1904, a furnished room at the French Hotel rented for $3.00 per month. Edward ‘Eddie’ J. Riviere (1916-1968) and Roy J. Riviere (1914-2000), two sons of Adolph J. Riviere (1871-1954) and Julia Hebert Riviere (1877-1964), were members of this football team. At this time, the Riviere family was domiciled at 505 Washington Avenue. 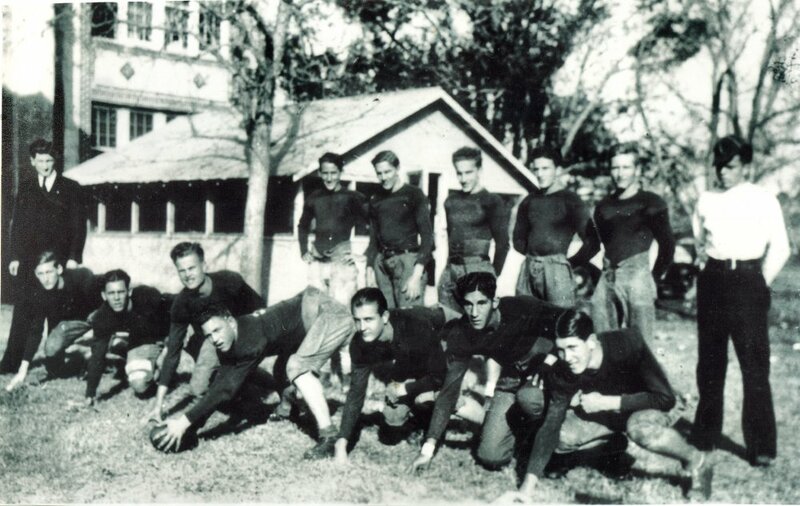 (Standing L-R: Coach L.M. LaCroix, Raymond Ryan (1914-1970), Eddie Riviere, Roy J. Riviere, Everett Busbee (1912-1987), Frank M. ‘Cotton” Newcomb (1914-1964), and Beverly Dalgo (1918-2003), manager. (Bottom L-R: Tim Simpson (1918-1981), John Mitchell (1915-1963), ? Williams, Mike Mitchell (1918-2003), Alan Keebler, Henry Weyerstall (1913-1987), and Louis ‘Puckie’ Mestier (1916-1994). This image was made at Fort Hood, Texas in 1944. [ L-R: Helen Uhalt Duckett (1908-1987), Helen Merrill Duckett (b. 1935), Albert Bruce Duckett (b. 1940) and Albert Duckett (1907-1978). 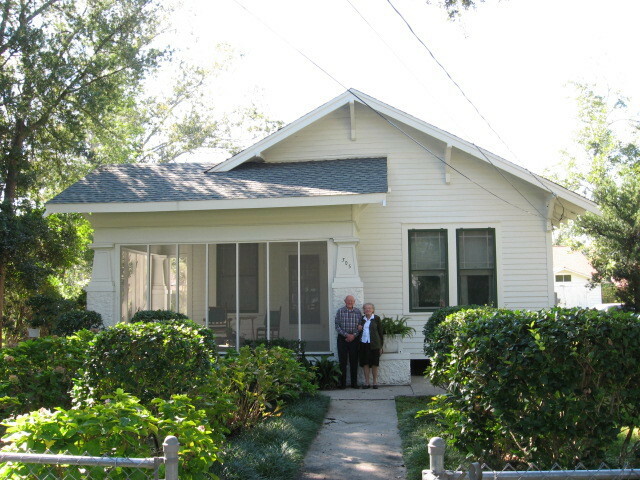 Bruce Duckett acquired the Hellmers Cottage at 918 Calhoun Avenue in 1963 and subsequently vended it to his parents. Bruce acquired title from his mother in 1979 and he and spouse, Alice P. Duckett, have utilized the property as a home, as well as a rental. Courtesy of Bruce Duckett and Alice P. Duckett. Albert B. Duckett, called Bruce, was born at Detroit, Michigan in 1940 and reared in Biloxi where in the mid-1950s, as a teenager founded The Chariots, an automobile club, which specialized in customizing cars, which at the time was a California phenomenon. Bruce graduated from Biloxi High School in 1957 and matriculated to Mississippi State University were he studied mechanical engineering. Alice P. Duckett is the icon of local historic preservation. She began her crusade to protect our historic homes and buildings in the 1970. Her work culminated with the September 1989 enactment of the local Historic Preservation Ordinance. Alice has chaired the Ocean Springs Historic Preservation Commission since 1996. 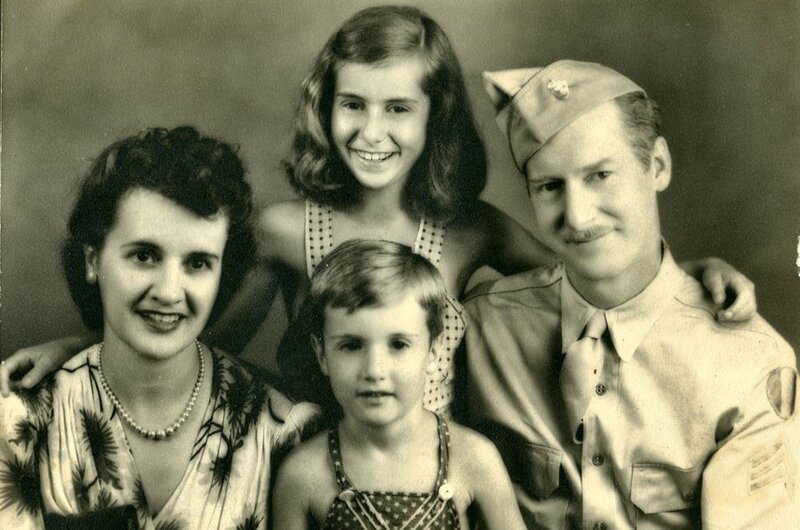 Bruce and Alice P. Duckett have reared three children: Nancy Alice Baker of Ocean Springs; Merrill Anne Stahura of Hickory, NC; and Albert Bruce Jr. of Biloxi. 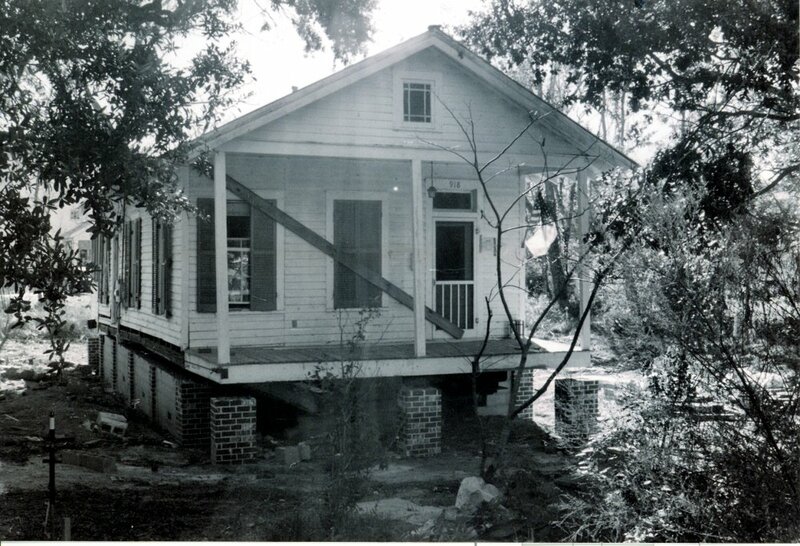 During Hurricane Katrina on the morning of August 29, 2005, the Hellmers-Duckett cottage floated off its brick piers and was deposited on the ground several feet northwest of its foundation. Kosciusko Movers was employed by the Ducketts to jack their rental off the ground and relocate it onto a new, raised, concrete block foundation, which supported the structure for its entire perimeter. They also attempted to level the cottage. In March 2007, work commenced to refurbish the recently raised Duckett cottage. Plumbing, carpentry, and electrical work are presently in progress and completion of the work is scheduled for July 2007. Alice and Bruce Duckett are to be highly lauded for their efforts to salvage and restore this vernacular cottage. With Katrina’s ubiquitous destruction and the current trend to demolish historic homes within the city, it is encouraging that the Duckett’s have undertaken this project. Maybe their example will reverse the current negative attitude towards historic preservation. Of all the cottages and homes in the vicinity of Ocean Springs, Mississippi, the home of Fred E. Lee built on the Old Spanish Trail east of Ocean Springs, in 1925, has the most mystique. Anecdotal history relates that the Lee home was the local port of entry for contraband liquor during the Prohibition era years (1919-1933). The name of Alphonse Capone (1899-1947), the Chicago gangster, is often mentioned in these same allegations of illegal activities concerning spirituous liquors. Is it possible that Cuban vessels penetrating the blockade by US Revenue cutters in the Mississippi Sound landed rum and other alcoholic spirits on the shore of Davis Bayou in the shadows of the Lee home? Of all the cottages and homes in the vicinity of Ocean Springs, Mississippi, the home of Frederick E. Lee erected in 1925, east of Ocean Springs on the Old Spanish Trail has the most mystique. Anecdotal history relates that the Lee home was the local port of entry for contraband liquor during the American era of Prohibition, 1919-1933. The name of Alphonse Capone (1899-1947), a Chicago gangster, is often mentioned in these same allegations of illegal activities concerning spirituous liquors. Is it possible that Cuban vessels penetrating the blockade of US Revenue cutters in the Mississippi Sound, landed rum and other alcoholic spirits on the bank of Davis Bayou in the shadows of the tall yellow pines surrounding the Lee homestead? Frederick E. Lee (1874-1932) was born at Campbellsburg, Indiana on June 5, 1874, the son of Findley Lee and Elizabeth Collier. They were natives respectively of Greencastle and Campbellsburg, Indiana. Mr. Kuhn made his livelihood in Pascagoula as a tailor. His spouse, Odetta Kuhn (1910-1994), sold real estate. Mr. Doody had legal troubles with G.E. Arndt (1908-1994) per JXCO, Ms. Chancery Court Cause No. 3938. Other Chancery Court Causes involving Doody were: No. 10070, No. 12743, and No. 13074. No further information. The ownership of J.W. Rodriguez cannot be corroborated by the land deed records of the Chancery Court of Jackson County, Mississippi. It is assumed that the Rodriguez family leased the property. In 2004, rumors began to flow around Ocean Springs that Del Castle was to be torn down by Bruce W. Legate. He obtained a demolition permit from the City of Ocean Springs in early 2005, which had expired. He re-applied and a hearing was held before the Ocean Springs Historic Preservation Commission on August 11, 2005, who denied the demolition. In early October 2006, the Board of Aldermen approved Mr. Legate's demolition permit in a 4-3 vote. Mayor Moran told he Board that she would and did veto their approval for demolition. Cooper Whiteside Norman, a resident architect, has been in negotiations with Bruce Legate to convert the old mansion into an architectural institute to promote historic preservation. At its second October meeting on the 17th, the Ocean Springs Board of Aldermen failed in a 4-2 vote to overturn Mayor Moran's veto of their earlier approval to grant a demolition permit for Del Castle to Bruce Legate, trustee of his father's estate. Mr. Bruce Legate won his infamous place in Ocean Springs history when he unleashed a demolition team on the old F.E. Lee house on March 29, 2007. As David Perryman Drake, a neighbor was quoted, "She didn't go easy, just a stubborn as Georgette [Lee] was." Jackson County, Mississippi Chancery Court Cause No. 4948, "R.J. Richsteig v. Leon R. Jacobs", 1926. The Daily Herald, “Burned Residence Was Old Landmark”, February 29, 1924. The Daily Herald, “Mrs. Rhinelander Will Sue Husband and Father-in-Law”, July 5, 1929. The Daily Herald, “Fred E. Lee Dies”, September 3, 1932. The Daily Herald, "DelCastel (sic) sold to Chicago man", February 10, 1949. The Gulf Coast Times, “Woman Drowns at Dell Castl’ Pool”, July 26, 1951. The Jackson County Times, “The Charter of Incorporation of Atkinson-Lee Pecan and Realty Company”, August 30, 1919. The Jackson County Times, “Local and Personal”, March 4, 1922. The Jackson County Times, “Fire destroys two homes”, March 1, 1924. The Jackson County Times, "Local and Personal", October 4, 1924, p. 5. The Jackson County Times, "Local and Personal", November 21, 1924, p. 5. The Jackson County Times, "Local and Personal", December 19, 1925, p. 5. The Jackson County Times, “Country Estate of F.E. Lee Will Be Show Place of Coast”, March 20, 1926. The Jackson County Times, “Local and Personal”, November 21, 1925. The Mississippi Press, "Resident wants 'Capone hideout' rubbed out", May 30, 2006, p. 1-A. The Ocean Springs News, “Helen and Elise Lovell” (photo), April 18, 1957. The Ocean Springs News, “Marriage of Identical Lovell Twins Is Outstanding June Wedding Event”, July 3, 1958, p. 5. The Ocean Springs News, “Del Castle Bought by Biloxian”, May 7, 1964. The Ocean Springs News, “Ramblings”, July 23, 1964. The Ocean Springs Record, “Mrs. Nellie Goldsby”, January 17, 1974. The Ocean Springs Record, “Truman-Legate”, December 11, 1980. The Ocean Springs Record, “Colette G. Hewlett”, August 6, 1987. The Ocean Springs Record, “Al Capone’s coins?” June 9, 2005, p. A1. The Ocean Springs Record, “Touchable Capone”, June 9, 2005, p. B8. The Ocean Springs Record, “Rumored Capone house has colorful history”, June 9, 2005, p. B8. The Ocean Springs Record, “Del Castle fate to be determined August 11”, August 4, 2005, p. A1. The Ocean Springs Record, "Del Castle fate sent to chancery court", August 18, 2005, p. A1. The Ocean Springs Record, "Aldermen balk at Del Castle demolition", June 8, 2006, p.A1. The Ocean Springs Record, "City seeks option for Del Castle", June 15, 2006, p. A1. The Ocean Springs Record, "City fashions plan to stop Del Castle demolition", June 22, 2006, p. A1. The Ocean Springs Record, "Veto derails demolition OK", October 5, 2006, p. A1. The Ocean Springs Record, "Mayor's Del Castle demolition veto holds", October 19, 2006, p. A1. The Ocean Springs Record, "Del Castle demolition hits veto-again", October 26, 2006, p. A1. The Ocean Springs Record, "Del Castle demise near as veto fails", November 9, 2006, p. A1. The Ocean Springs Record, "Del Castle crumbles", April 5, 2007, p. A1. The Sun Herald, "Mrs. Hazel Vance Legate", October 11, 2005, p. A6. The Sun Herald, "Chasing Al Capone", June 6, 2006, p. A2. The Sun Herald, "Aldermen table Del Castle vote", June 7, 2006, p. A5. The Sun Herald, "Del Castle may be spared", June 21, 2006, p. A6. The Sun Herald, "Del Castle demolition OK'd", October 4, 2006, p. A9. The Sun Herald, "Moran again vetoes demolition", October 26, 2006, p. A12. The Sun Herald, "Del Castle will crumble", November 2, 2006, p. A10. The Sun Herald, "Brooks B. Legate", July 18, 2007, p. A4.